Prayer Fans are commonly given as a gift to heal the heart. 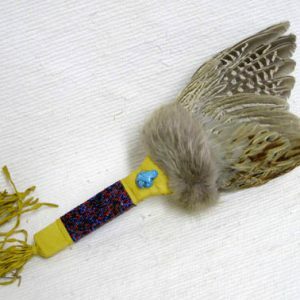 Just as ancient Americans used the feathers to send prayers to the heavens and draw healing power from the sky, so with all sincerity we hope such healing accompanies you with every footstep. 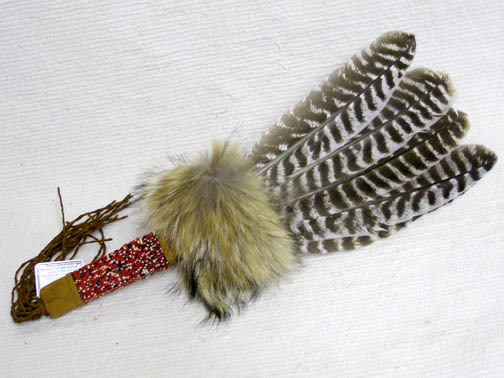 This beautiful fan is handcrafted by a member of the Creek Tribe in the southwestern United States. 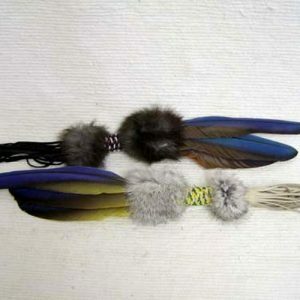 Each is unique & will vary with regard to the feathers, buckskin, fur, and glass beads.